Here it is, after a year of sifting through thousands of submissions from far and wide we finally came to a decision. 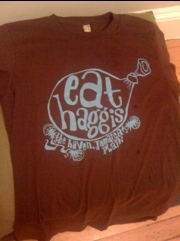 It’s the “EAT HAGGIS” design from acclaimed Jamaica Plain artist Stephanie Smiczeck. 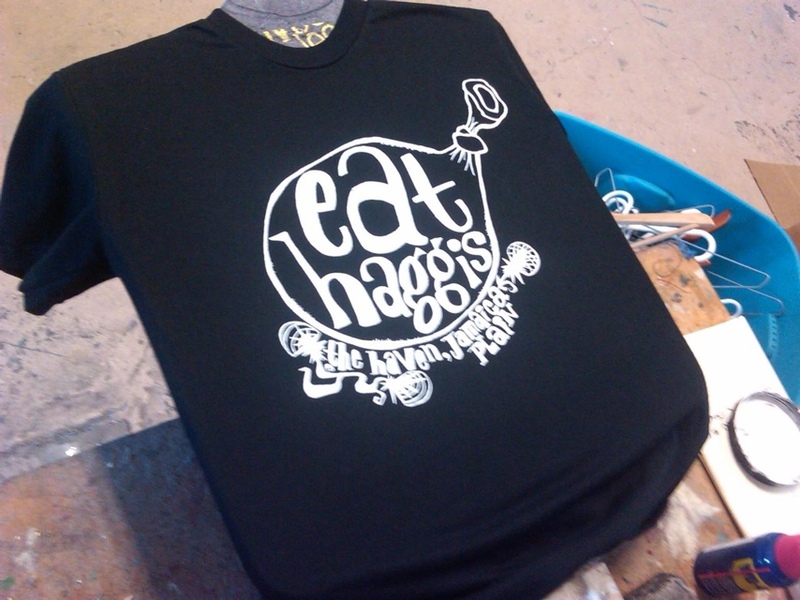 You can order your t-shirt here in black with white text or brown with blue. E-mail thehavenjp@gmail.com for ordering information. Nice- you both look great in it!! !